1614+ User votes to help you find the Best 125cc Scooty in India. 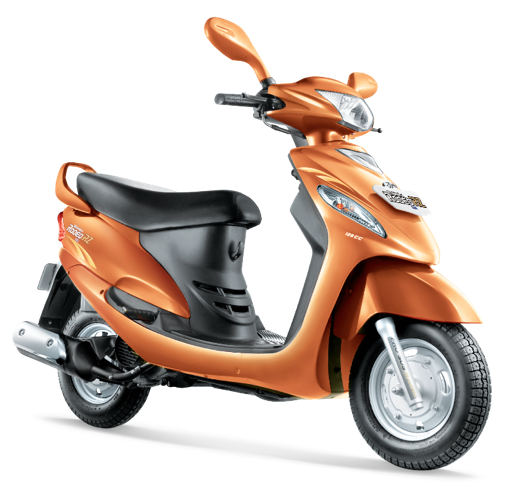 All About Best 125cc Scooty in India ✓ Specification ✓ Price ✓ Mileage ✓ Color ✓ Features ✓ Comparison. The demand for the gear less scooter is increasing in Indian market as it has over taken traditional gear scooters. Due to congested city roads the two-wheeler manufacturers are coming with the product in this segment. The two-wheeler is easy to ride and provide comfort. 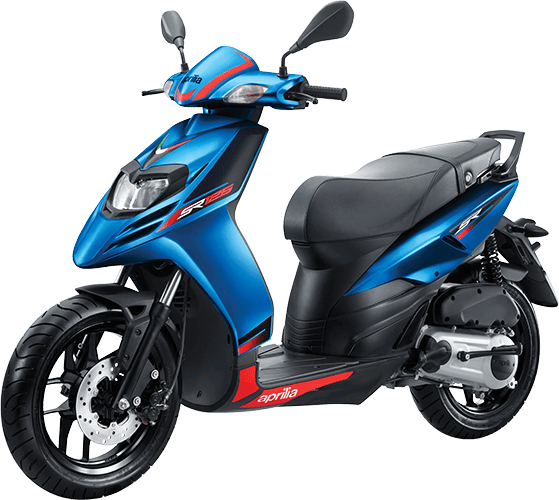 If you are thinking of buying 125 cc scooter then it will help which is best for you. Which is the best 125cc scooter in India? *Note: The Rank is based on readers voting. You can also vote to your favorite 125cc scooty through the vote section. 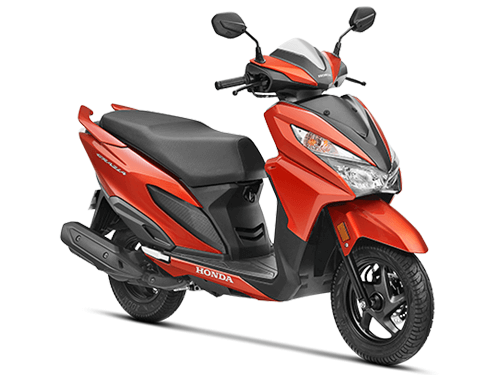 Honda Activa 125  – Honda has launched the updated version of the 2018 Activa 125 in India. Honda Activa 125 2018 model has been updated with LED headlamps. The instrument cluster design has also been revised, with the analogue speedometer paired with a new digital display. The display shows odometer, trip meter, fuel gauge, clock and a service reminder. The 2018 Honda Activa 125 gets a 3-step adjustable monoshock unit at the back, while the telescopic fork at front is similar to the older model. It also carries forward the metal body panels. An underseat mobile charger continues to be an optional extra. Suzuki Access 125 – The Access is a popular 125cc scooter in India. It was Suzuki's first product in the segment when the company first forayed into the Indian two-wheeler market in 2007 then came Swish. The new and upgraded Access is trendy as it comes with 5 diffrent colors. It standsout from rests by giving out unique locking system and new shutter mechanism for a single control point and sefety. TVS Ntorq 125 – TVS has launched its much-awaited scooter, the Ntorq 125 in India. The scooter is being positioned as a premium lifestyle product aimed at the youth. The Ntorq is TVS' exclusive technology platform, SmartXonnect, and it's the first scooter, across all segments, to offer Bluetooth connectivity. Its fully digital instrument panel also offers navigation assist, caller ID and an (app-based) parking location assist as well as three display modes Street, Sport and Ride Stats. Suzuki Burgman Street – Suzuki has officially launched its Burgman Street in India. Suzuki will also develop the Burgman Street scooter indigenously to cater to the premium scooter segment. The Suzuki Burgman Street claims to be India's first Maxi scooter and brings with it a new design and a host of features. The Suzuki Burgman Street comes with features like an LED headlamp, tall windscreen, LCD instrument cluster, and LED position tail lights. The scooter gets a step-up style seat, 21 litre under seat storage and a front glovebox too. The Burgman Street rides on alloy wheels and gets a front disc brake as well with Combined Braking System (CBS) as standard. Vespa LX 125 – Vespa LX 125 is the 125cc iconic scooter from Piaggio an Italian manufacturer. The Vespa 125 LX is the entry-level model in Piaggio’s scooter line-up in India. 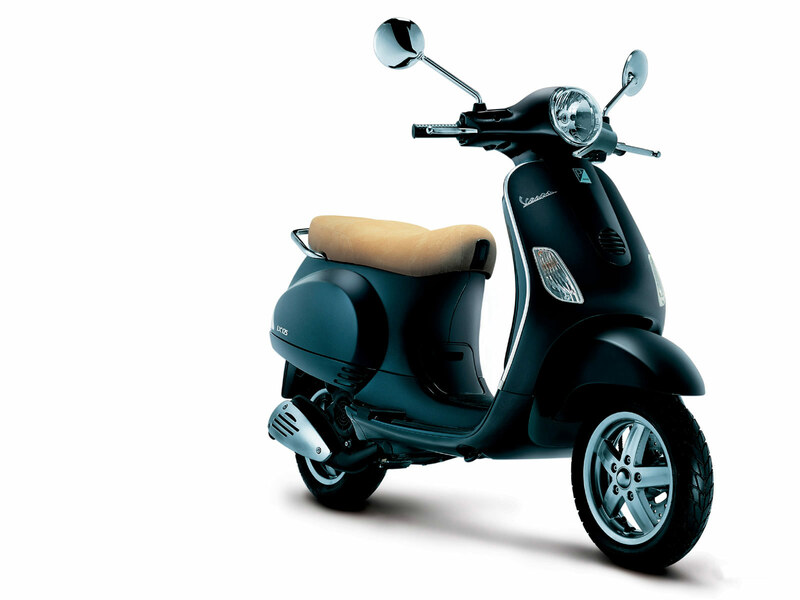 The Vespa LX 125 is come with retro looking which is very distinctive look. The Vespa LX 125 continues to embody the simple-looking original design philosophy that made retro scooters so popular. The scooter come with round headlight, curvy body panels and a slightly forward leaning stance. The solid steel body provides better safety than others at the time of collision. Mahinadra Gusto 125 – Mahinadra Gusto 125 more powerful, more stylish version scooter from Mahinadra. Gusto is powered by a 124.6 cc, 4 Stroke, air cooled M-TEC engine. 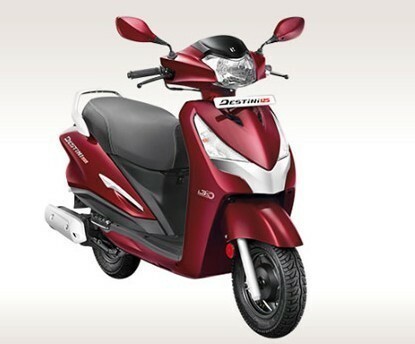 The scooter comes with feature list that includes a height adjustable seat, traditional instrument cluster, quick storage pocket below instrument console, a multi-function remote flip key fob with an LED panel that brightens up the keyhole at night, find-me lamps, guide lamp. Mahinadra Gusto 125 comes with a conservative body style and uses matching color inserts on the new dual tone shades on the 125 cc variant. Aprilia SR125 – Aprilia SR125 is the entry level 125cc scooter from Aprilia. The Aprilia SR125, a sporty scooter based on the company's bestselling Aprilia SR 150. The SR125 will share a similar design and looks like its bigger sibling SR150. The scooter come with great twin-pod headlight and the 14-inch rims, and also the downmarket analogue instrument cluster and the limited paint options of black or white. Hero Destini 125 – Hero MotoCorp has launched the Hero's first 125 cc scooter, the new Hero Destini 125 in India. 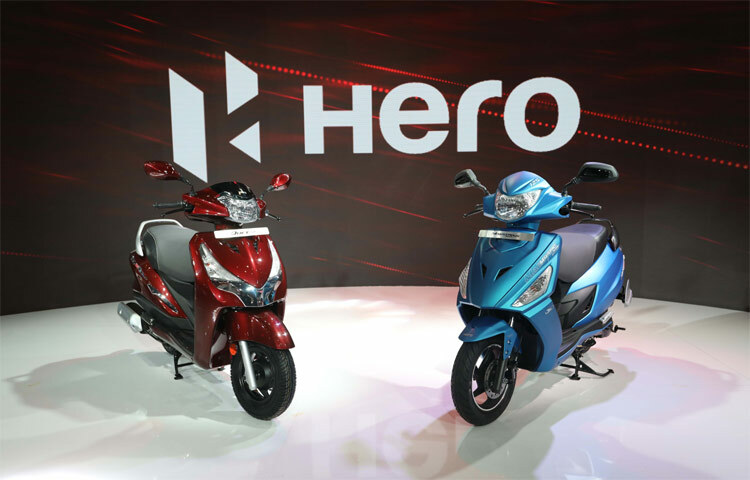 Hero Destini 125 is the first scooter in the company's line up to get Hero’s popular idle-Stop-Start System (i3S system) as well to provide it with a better fuel efficiency in traffic conditions. 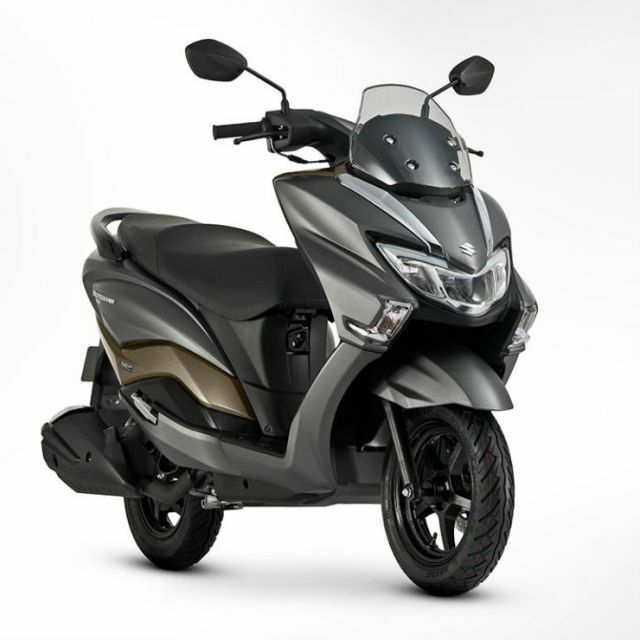 The Hero Destini 125 convenient features like as a mobile charging port facility, boot light, external fuel filler lid, pass light switch, a remote key, a semi digital instrument cluster with service due indicator or side stand indicator and more. The Destini 125 caters to those who are on the lookout for premium styling in a family-friendly package. Vespa VXL 125 – The Vespa VXL 125 is a facelifted version of the Vespa VX 125 scooter. The new scooter is mechanically similar the old model but a host of cosmetic upgrades and beefier tyres have given the scooter a fresh lease of life. The host of updates includes new paint schemes, wider Maxxis tyres, a new digital display in the instrument cluster and a new mode button on the switch gear. The Vespa VXL 125 also gets a trendy design for the chrome alloy wheels, a 3D logo and an elongated single-piece seat. Vespa SXL 125 – The Vespa SXL 125 is a refreshed version of the Vespa S scooter. It is the most expensive and premium 125cc model in Vespa’s line-up scooter in India. It has been updated with a host of new paint schemes, a refreshed instrument cluster with an electronic display and a new mode button on the switch gear. The headlamp and the mirrors get a square design with chrome embellishment. It also gets a trendy design for the blacked-out alloy wheels and a 3D logo for the ‘SXL’ branding. Vespa Notte 125 – Vespa has launched the new Vespa Notte 125 in India. Vespa Notte 125 come with an all-black colour scheme and with Notte badging on the apron storage box. The bodywork sports a matte black colour and the three-spoke alloy wheels are finished in black as well. Even the grab rails and the rear view mirrors get black finish, but the exhaust heat shield is in chrome. The features list will include the standard analogue console, tubeless tyres, and a revised seat among others. Vespa Notte 125 is the most affordable Vespa scooter in the country at present. Vespa RED 125 – Vespa has launched the new Vespa RED 125 in India. The scooter stands tall as the top model in its species and features a complete red treatment from its glossy red paint job to the red seats and plastic panels. Vespa RED 125 offer a decent braking experience is the front and rear drum brake assembly sitting on the Monocoque Steel High Rigidity Structure. Vespa RED 125 is the most expensive scooter of the 125cc range from Vespa in India. 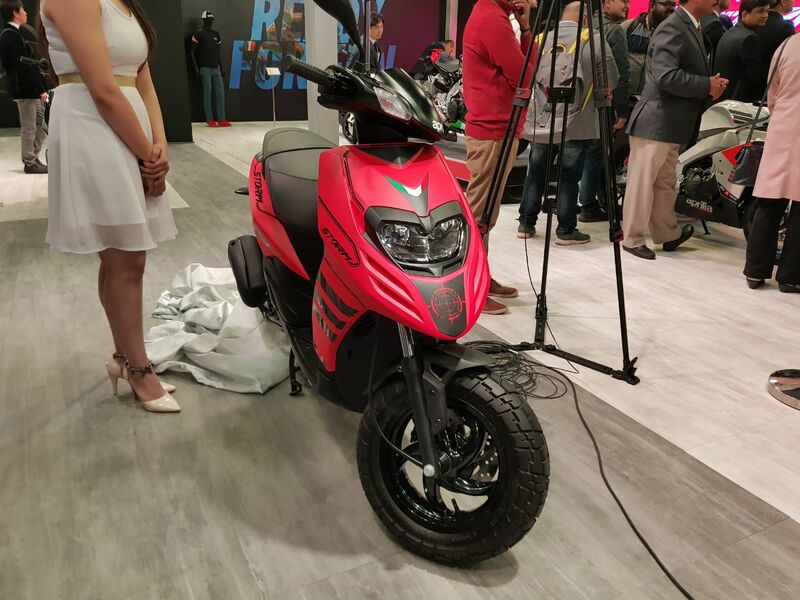 Hero Maestro Edge 125 (Upcoming) – Hero MotoCorp unveiled the 125cc version of its Maestro Edge scooters at the Auto Expo 2018. The all-new model are based on the 110 cc versions of the Maestro Edge models, and get cosmetic upgrades as well as feature upgrades, along with a brand new 125cc engine engine with i3S system. The new scooter comes with modern styling and features a sharp front-end and sleek rear. The scooter also gets a LED taillight. Other features include external fuel filling, digi-analogue instrumentation, side stand and service indicators. The Maestro is available with an optional front disc brake. Aprilia Storm 125 (Upcoming) – Italian two-wheeler maker Aprilia has unveiled the new Storm 125 scooter at the Auto Expo 2018 in India. The Aprilia Storm 125 is a sporty looking scooter with funky body graphics and new matte paint scheme. Aprilia Strom 125 also features 12-inch alloy wheels shod with chunky Vee Rubber tyres which should also be good for off-road use. Aprilia also offers optional accessories, and the displayed model was equipped with a large windscreen which should offer good protection against windblast. Mahindra Rodeo (Discontinued) – Mahindra upadte the version of Rodeo and lunched all new Rodeo. Mahindra uses advanced technologies in the brand new Rodeo UZO 125. It comes with a mobile charging socket as a standard feature. The scooter comes with a racing style body graphics, striking colored wheels and sporty seat. It is designed beautifully and provides great comfort and has a very good ride quality. 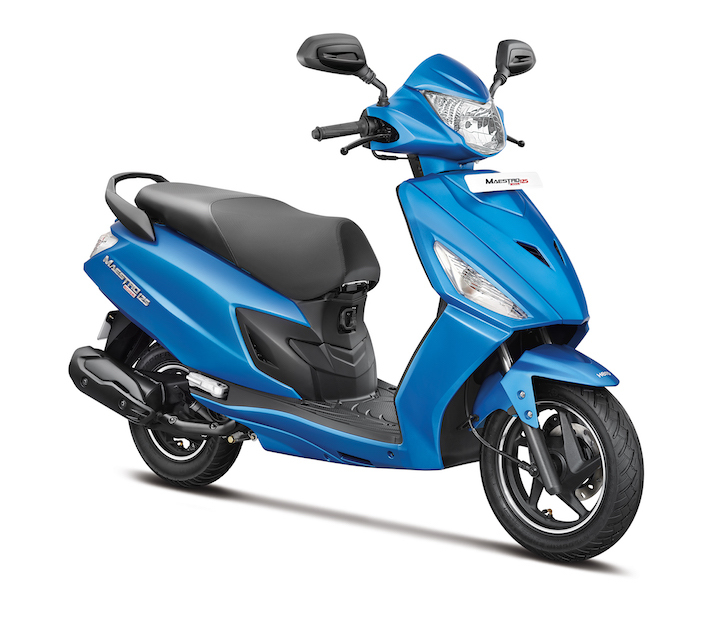 It is the most feature ricy scooter in this category as Rodeo UZO 125 comes with a innovative 4 in 1 anti theft key system. Mahindra Duro (Discontinued) – Mahindra upadte the version of Duro scooter and lunched the all new Duro DZ. Duro DZ brand new design of its clear-lens headlight looks sleeker and provides better road illumination. Duro DZ is come with an advanced dual-curve digital ignition engine, which is capable of automatically adjusting in response to changing loads on the bike so the scooter gives better mileage than any of its competitors 125 cc scooter segment. Suzuki Swish 125 (Discontinued) – Swish is a powerful scooter from Suzuki. It comes with a reliable 125cc engine coupled with CVT transmission and telescopic front fork suspension. It offers engine that offers strong acceleration, has a refreshing design, and rides comfortably. Moreover, it is built well, reliable, and inexpensive to maintain. It comes features such as digital meter with service reminder dual trip meter and digital clock and new LED lamps are very potent at night. Vespa VX 125 (Discontinued) – The Vespa is an iconic scooter from Piaggio an Italian manufacturer. Piaggio first manufactured Vespa in 1946 , and has a huge fan following across all over the world and in 2012 was relaunced in India was a massive hit. It looks stunning in 6 trendy colors, and has a sublime ride quality. It even comes with a front disc brake, and you can have it in a wide variety of colours. Piaggio has created a diffrent space for Vespa as it is Rs 16,000 expensive from its compititors.